Coming out of the summer slowdown, the last big sales season of the year runs from early September to mid-November (when the market usually retreats into semi-hibernation until mid-January). September is typically the single month with the highest number of new listings and this year, it started out with a bang: 300 new listings hit the market in the first week after Labor Day. 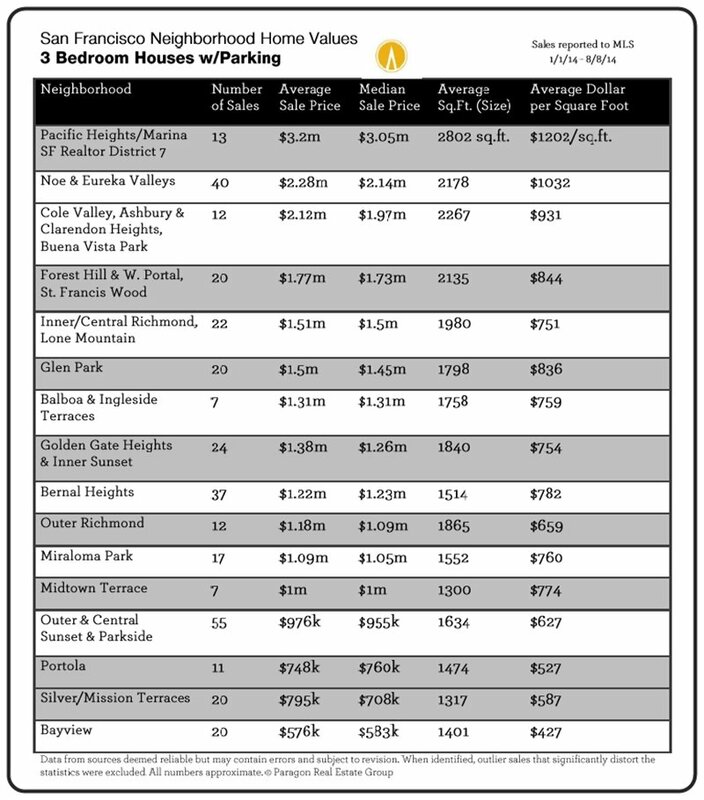 As a point of comparison, May, the biggest new-listing month YTD, had a total of 720. This year’s summer slowdown was bigger than usual: Compared to 2013, the number of listings coming on market dropped 12% and the number of sales fell 16% – these are large drops. 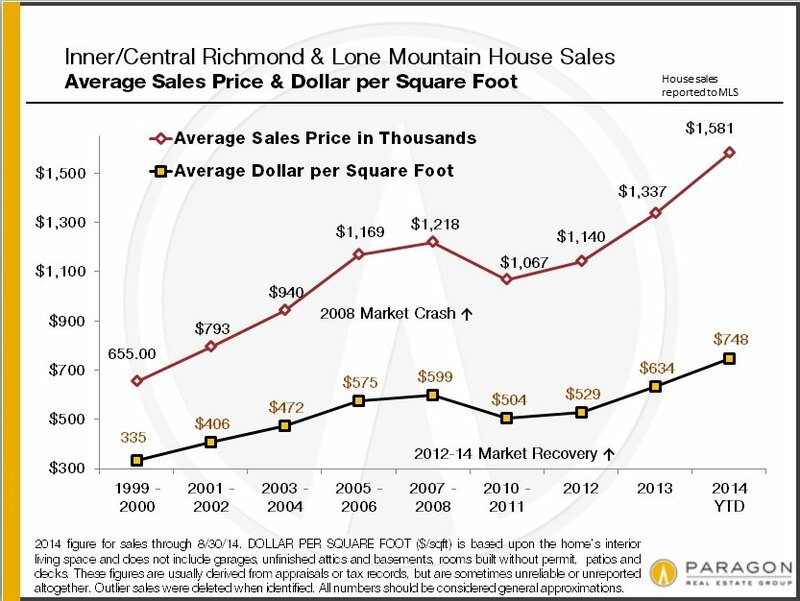 Median sales prices also declined significantly from the spring peak, but summer price drops are normal due to seasonal factors. We’ve found it difficult and risky to make confident assessments of market trends during the summer or winter holiday slowdowns: One really has to see what happens in spring and autumn when sellers and buyers jump back in. This chart compares Months Supply of Inventory (MSI) – a measurement of buyer demand against the supply of homes for sale; median Days on Market (DOM) – how quickly new listings go into contract; and median home sales prices, for the city, state and country. 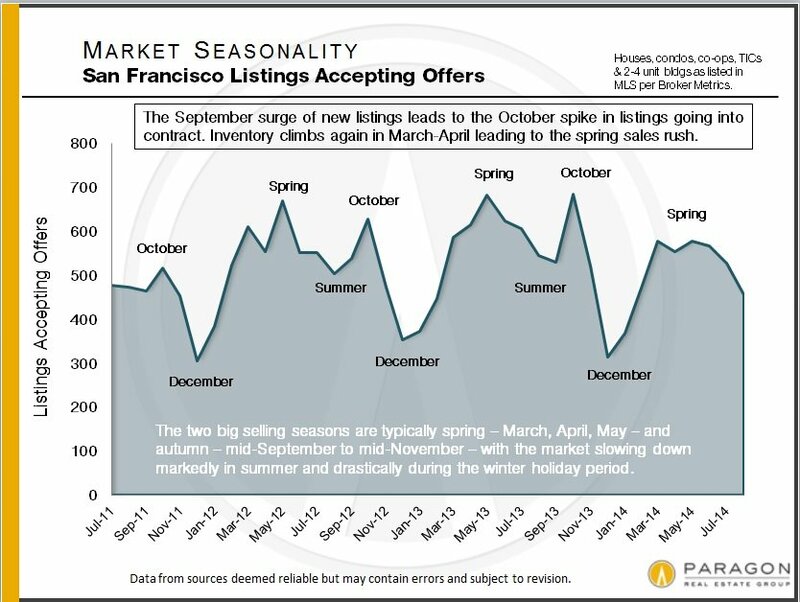 Typically, an MSI under 3 to 4 months is considered a seller’s market; at an average of 1.5 months of inventory over the summer, San Francisco would typically be considered an extreme seller’s market (which puts upward pressure on prices). 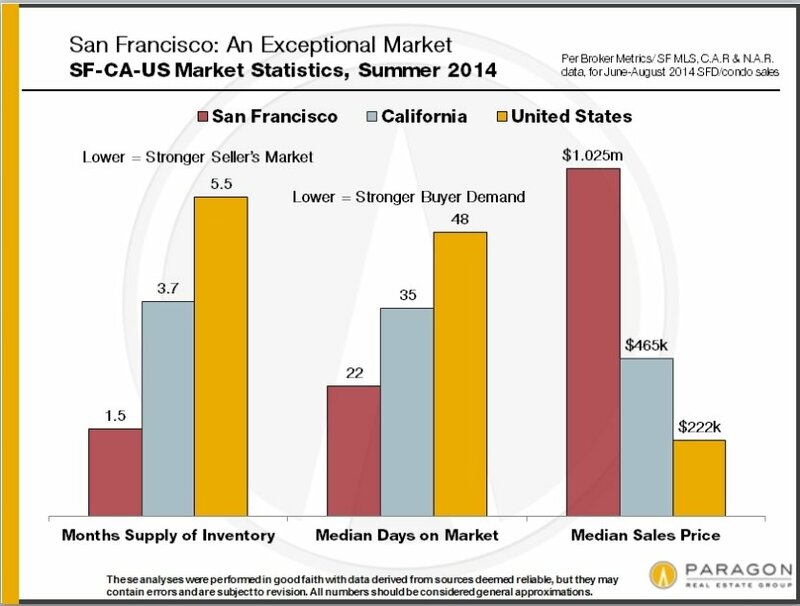 San Francisco’s median days-on-market figure is also extraordinarily low, and of course, our home prices are significantly higher than most places on the planet. 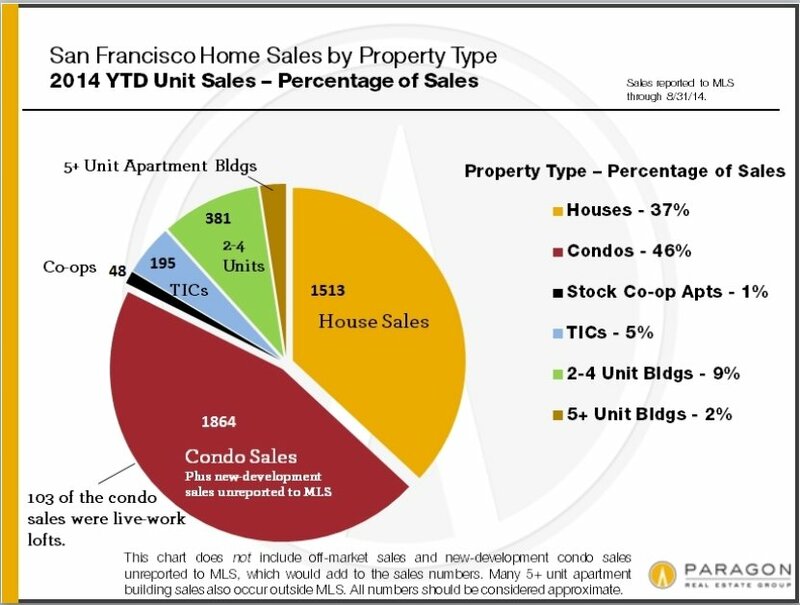 Unlike the vast majority of other counties, condos and condo-like homes such as co-ops and TICs now predominate in the SF homes market, a trend that will only accelerate as dozens of (expensive) new-condo projects come on line in coming years. 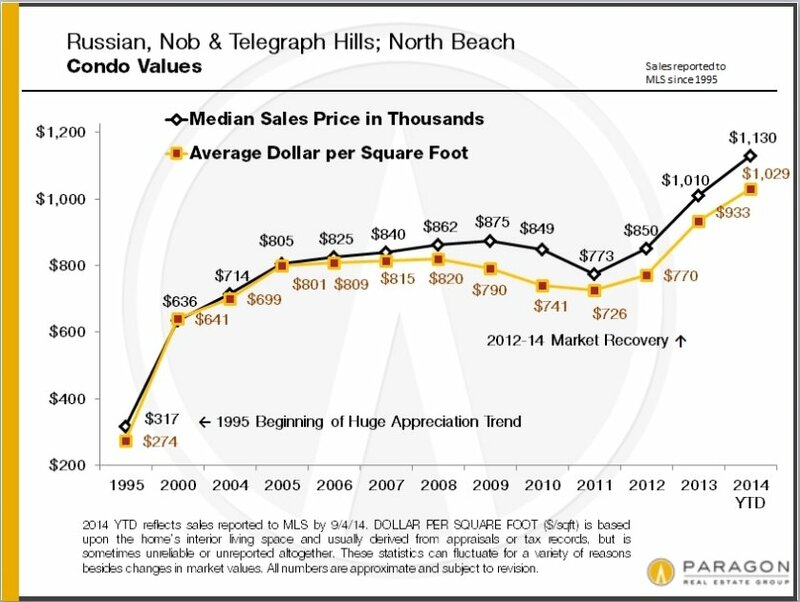 The difference in median sales prices between houses and condos has also narrowed to less than 12% – when condos used to be the significantly cheaper alternative. Condos also play a huge role in luxury home sales, often selling for the highest dollar per square foot figures in the city. 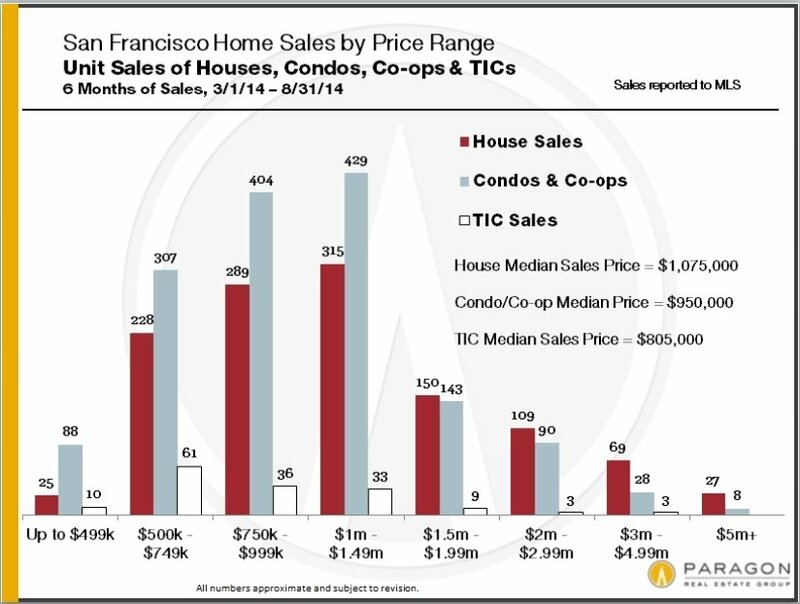 TIC sales, almost an exclusively SF phenomenon, have been dwindling, but now sometimes command prices in excess of $1,500,000. 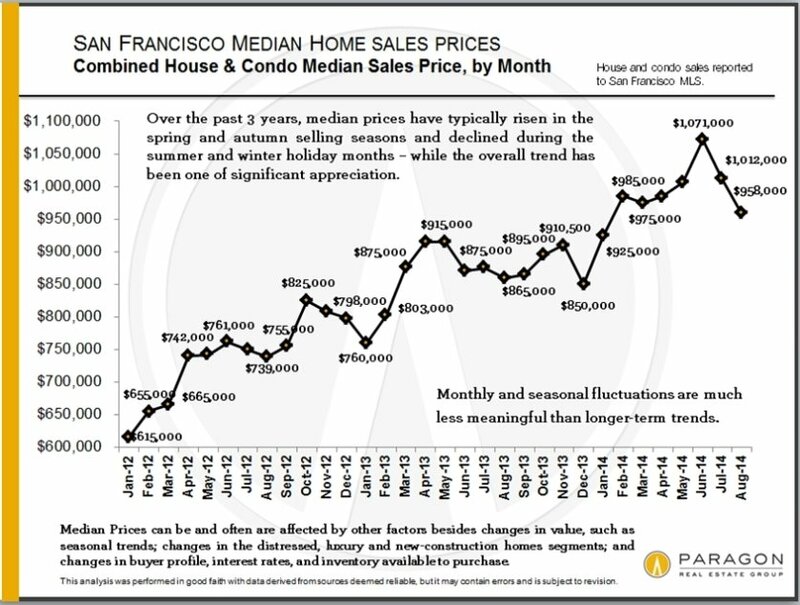 The relatively small quantity – and declining percentage of sales – of house listings in San Francisco has put significant competitive pressure on house prices. This effect has been cascading through the city’s neighborhoods, from most desirable to historically less desirable, as families search for affordable options in a rapidly appreciating market. 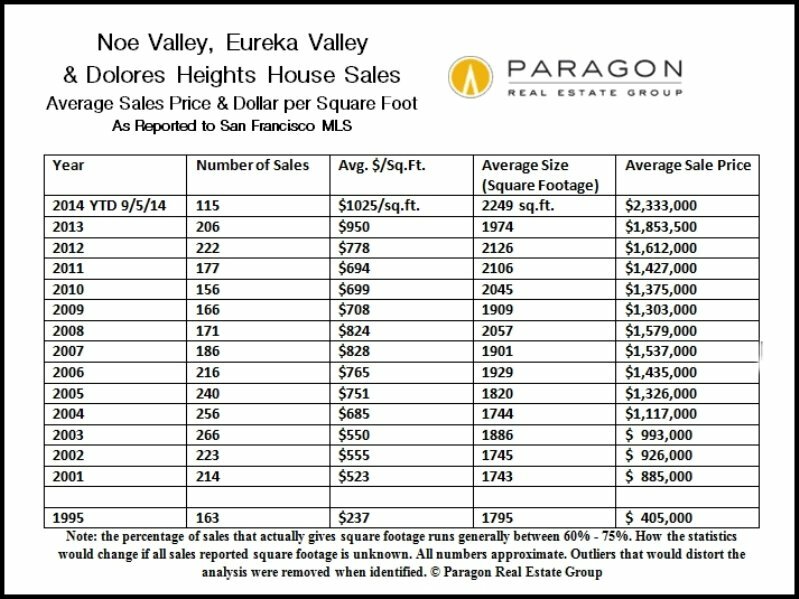 Very, very few new houses are being built in the city and those that are, are typically very costly.